Sony’s new A3000 camera may support their E-mount lenses and look very much like an SLR, but inside it’s a NEX affair, with the entry level number sporting a 20.1 MP Exmor APS-C HD CMOS sensor and electronic viewfinder. Their newest interchangeable lens camera offers full HD video, P/A/S/M mode dial and several customisable control buttons for swiftly making adjustments to settings plus a built-in flash and hotshoe and 3″ LCD with a lowly 230k resolution. 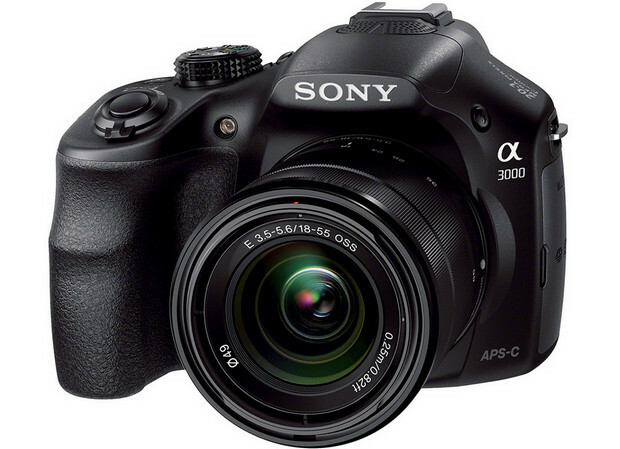 For just $399, Sony will serve you out the a300 body paired with a 18-55mm zoom kit lens, which looks like rather a lot of kit for a very decent price to us. The camera is pegged for a release in early September. The press release is below and you can read a ‘first impressions review’ here. 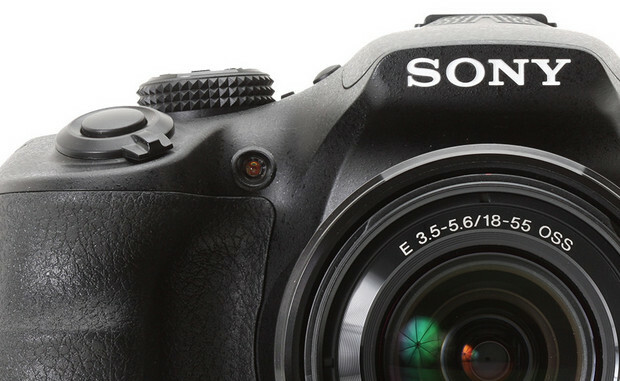 SAN DIEGO, August 27, 2013 –Designed to bring the benefits of large-sensor imaging to a variety of new customers, Sony’s α3000 interchangeable lens camera combines DSLR capabilities with a comfortable, easy-to-use package. The new camera features a large, high-resolution 20.1 MP Exmor™ APS-C HD CMOS sensor, a bright electronic viewfinder and the same lens mount as Sony’s popular line of E-mount cameras, making it compatible with the system’s ever-growing assortment of high-quality lenses ranging from telephotos, wide angles and macros to versatile zoom and portrait lenses. The powerful 20.1 MP APS-C sized image sensor in the α3000 is the same size sensor found in most traditional DSLRs, and is the key to capturing crisp, highly-detailed still images and Full HD videos (1080/60i or 1080/24p). The large sensor also boosts sensitivity, grabbing more light and cutting image noise to produce better quality content in low-light conditions, where a smartphone or point-and-shoot camera typically struggles. The new camera features a clear, bright electronic Tru-Finder viewfinder with generous 100% field coverage allowing for an effortless framing experience. The viewfinder can also display a variety of key shooting information and shows a live preview of the composed image to illustrate the effect of any setting adjustments. This same “Live View” shooting experience is also available through the bright rear LCD screen for those that prefer to frame and compose at arm’s length. 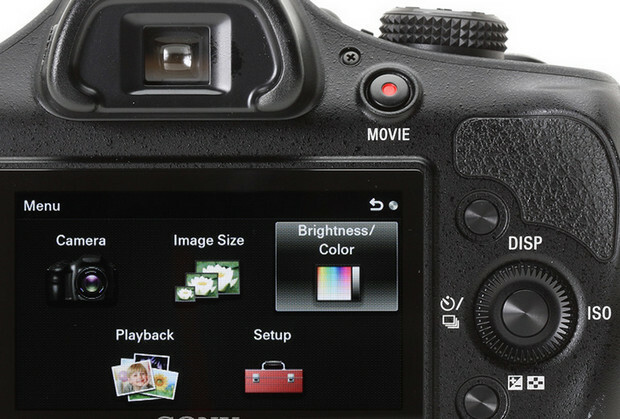 The new α3000 model features a classic DSLR-style design with a standard P/A/S/M mode dial and several customizable control buttons for making common adjustments to settings. The grip is stable yet lightweight, giving shooters a strong, comfortable grasp of the camera. Creatively, the new α3000 camera offers a total of 15 different Picture Effect settings including Retro Photo, Miniature Camera, Partial Color and much more. The camera also has Auto Object Framing, which neatly trims portraits, close-ups and even moving subjects for tighter, more professional results. When this feature is engaged, the camera saves both the original and cropped images for review, making it yet another practical learning and teaching tool for beginning photographers. With the α3000’s Multi Interface Shoe terminal, users can broaden their shooting experience by adding external accessories like flash, video lights, or microphones. Compatible accessories include the HVL-F43M flash with Sony’s unique Quick Shift bounce system for eliminating shadows as well an LED light for video, the HVL-LEIR1 Video IR light for brightening up dimly lit parties and indoor scenes, the ECM-XYST1M Stereo Microphone for capturing clearer dialogue and sound and much more. The new α3000 interchangeable lens camera will be available in early September for about $400, paired with a black 18-55mm zoom kit lens (model SEL1855). The new camera is compatible with Sony’s ever-growing assortment of E-mount interchangeable lenses. In total, 16 different lenses are now available including several premium models from Zeiss ™ and G™ Lenses. The new camera and all compatible accessories will be available for purchase at Sony retail stores (www.store.sony.com) and other authorized dealers nationwide. Please visit www.blog.sony.com for a full video preview of the new α3000 compact system camera and follow #SonyAlpha on twitter for the latest α camera news.